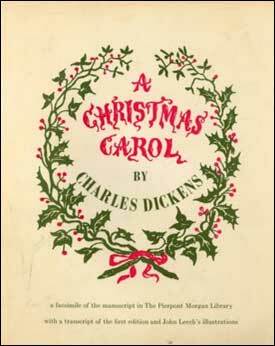 A Copasetic Christmas Carol tells Dicken's story using a suite of jazz compositions with "hep cat" lyrics and narration. The suite was performed and broadcast live over KBEM Jazz 88 FM radio in December 2003 and was a huge success, and has found a new home at the Capri Theater in Minneapolis/ beginning a new tradition in 2007. A Copasetic Christmas Carol runs slightly over an hour, and is the perfect entertainment for your holiday party when presented after a dinner, or coupled with dance or holiday music before or after the show. 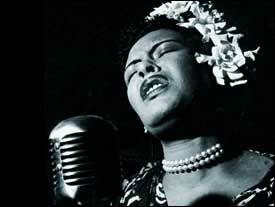 This show runs roughly 2 hours, and presents the music and life of the immortal jazz artist Miss Billie Holiday. The show has been performed at the Southern Theater in Minneapolis, at Jax Cafe in Minneapolis, and the Mabel Tainter Theater in Menomonie, Wisconsin. 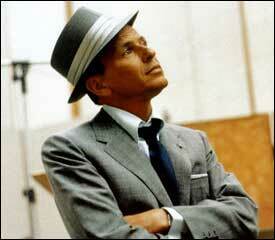 THE MUSIC OF FRANK SINATRA. Hear the music of THE giant in the music industry. This show runs roughly 2 hours and presents some of our favorite Frank Sinatra tunes arranged for Vocalist Arne Fogel with the Twin Cities Seven.